Lt. Commander Data wrote: I hope you enjoy your stay in Adelaide. I would recommend things to see that are transport realted, but nothing's really happened. I would recommend getting models of the MAN SL202s shile they're still around though, and maybe even one of the really new Scanias (1941-1948, 1823-1825). Also the MAN 11.190s, their days are numbered as well. Once again, enjoy your stay! Mungojerrie wrote: Sorry for such a delay. I was really busy with my work, but I managed my holiday journey to Australia. And now I'm here in Adelaide. It was not easy to organize this visit this time. But I think everything will be good. Great to see that you're back, and that you're in Adelaide! Our new Scania K320UB 'CB80's (1941-1948, 1824-1825), although 1947 and 1948 are yet to hit the road. The very last few of the 11.190's before they're all gone out of normal service. And it would be good to see some of the rare ones made into models - such as: 1347 (MAN NL202/PMCA '160'), 2746 (MAN 18.280 HOCL-NL/ABM 'CB60'), 2801 (Scania L94UA/Volgren 'CR224L'), 1015 (Scania K310UA/Custom Coaches 'CB60 Evo II'). Even some of the Iveco Metro C260/Custom Coaches 'CB80''s, they're quite good buses. Some of the different buses which operate on the city loop (e.g. the hybrid buses), and even some ex Darwin buses. There's a lot to choose from, but do enjoy your stay here! I was wondering if I supply you with the photos, would you be able to make a Sydney Bus please? Hello everyone! I'm back. I did not have time for models during my stay in Australia. But the journey was really very nice. The weather was good, and I visited Melbourne and Adelaide. Of course, I had many things to do and to see, so I did not spend all the time making photos of transport. But finally, I have quite a big list of models that I can make. 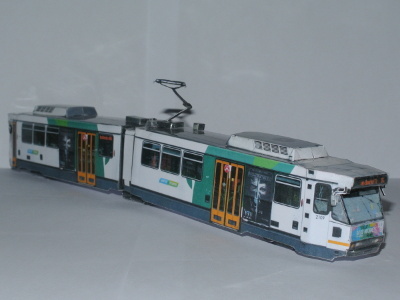 Today I'm presenting a new model of Melbourne B2 class tram 2128. And here is a list of Melbourne trams that I can make: 136, 138, 160, 192, 209, 216, 218, 220, 242, 259, 270, 288, 297, 856, 946, 957, 2008, 2015, 2017, 2026, 2100, 3010, 3036, 3501, 3506, 3509, 3514, 3529, 3533, 3536, 3538, 5005, 6013 and 6043. 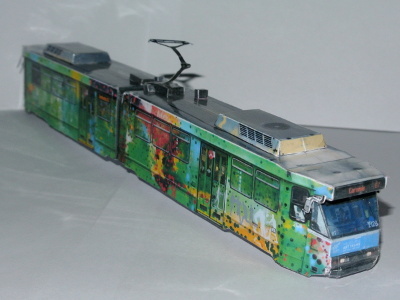 You can vote for your favorite tram while I'm making a bus model from Adelaide! Yes, sure, I can make a model if you send me photos. You can see an example on the previous pages of discussion. But I already have some buses from Sydney. And I still did not find enough time to make models of them. Great that you had a nice time. Thanks for responding to my question. I'm just getting my last photo. Here is a new bus model. It's ABM CB64A from SouthLink, Adelaide. Love the SouthLink ABM CB64A! Nice work! Hi, I'm new to the forum. I am particularly interested in the Adelaide models. look forward to seeing more models! Hey Andrey. I'm just wandering if you have any pictures of Adelaide's MAN 11.190s or the new Scania K320UD double decker bus. I'm also a huge fan of the ex Darwin buses so if you could make a model of one of those that would be great. ADMET CB60S wrote: Hey Andrey. 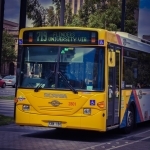 I'm just wandering if you have any pictures of Adelaide's MAN 11.190s or the new Scania K320UD double decker bus. I'm also a huge fan of the ex Darwin buses so if you could make a model of one of those that would be great. The next model from Australia will be MAN 11.190. I have quite good textures, so it will be great. Hey, is the that top one, Scania K320UA #1102 is an o-bahn bus isn't it? Yes, all K320 artics with Light-City Buses are O-Bahn equipped. Mungojerrie wrote: Here is a new bus model. It's ABM CB64A from SouthLink, Adelaide. do you make these out of paper or card? 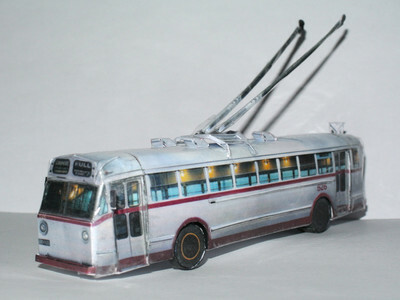 Hey Nice models can you make a metro tasmania bus? 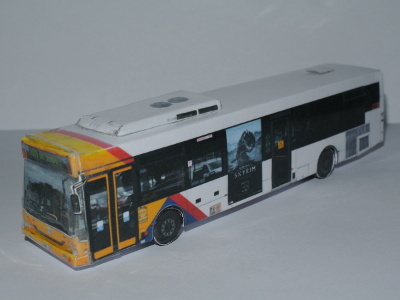 Joshua_boyd wrote: Hey Nice models can you make a metro tasmania bus? Mungujerrie, do you think you could make these pictures in to a paper bus? I have sent you the pictures via email. By the way, i am interested in how you get the picture of the roof of the bus. Hi everyone, I have just joined the group and this is my first post. I've been in contact with Transit Graphics this week about placing an order for 35 cardboard Melbourne buses as well as trams & trains. They have kindly offered a price of $5.50 per model (normally $9.90) so long as I can get a minimum order of 20 per model. I have posted albums on facebook to let my friends know. I am not making any money from this venture. There may be members who are interested and would like to know more but I'm unclear if I am allowed to identify myself. Anyway, please let me know if you like the idea and related thoughts about ordering the models.